Vodkamom: Always hide your antique tools and prepare to rip off your skirt. Always hide your antique tools and prepare to rip off your skirt. It happens as I watch the neighborhood children chase fireflies in those early moments of the evening; my heart returns those summers spent in McLean, Virginia. I miss them - the days of chasing lightning bugs with neighbor kids; catching crayfish in the creek behind our house; throwing our rabbit up the tree to see if he could climb; playing hopscotch and jacks with my sister, Beth, and Suzanne on the sidewalks in front of our houses while an occasional car would drive by and beep hello. 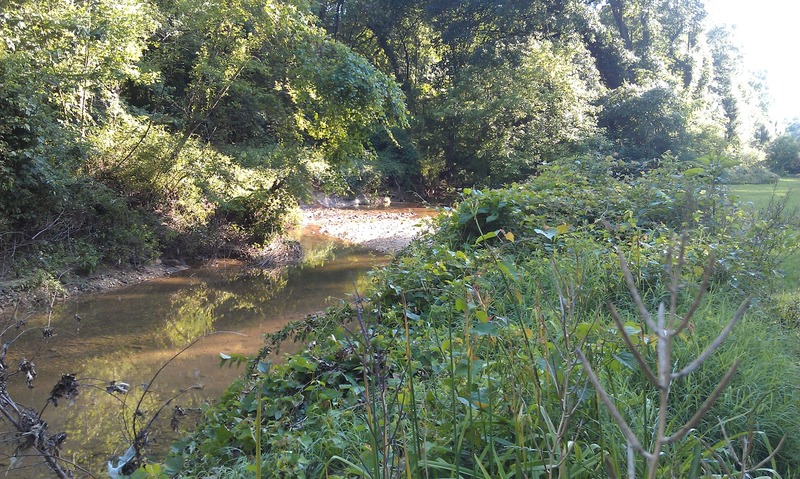 I remember one summer afternoon I felt it was incredibly important to clean out the creek. “It was filthy!” I told my mother as I returned from scrubbing moss off the rocks and cleaning out all the debris that had provided convenient camouflage and housing for many a mystified creature that day. I think using the soap might not have been such a great idea. The creek cleanup occurred a few days after the “tool searching” party, as my parents used to call it. It seemed my five-year old brother thought it would be fun to bury many of my father’s antique tools in various places in our back yard. There came a point when my parents and all the neighbors just gave up and turned it into another kind of party altogether. Oh, and if you are now the owner of that property you might want to rent a backhoe; they are some very valuable tools in your backyard. Somewhere. One of my brother’s best friends that summer was a cute little fella named Sam Riley. He was behind my brother’s brilliant scheme to teach our rabbit to climb a tree. (Unfortunately for the rabbit, they were persistent. We held the memorial service that evening.) One afternoon Bobby and Sam were playing Army near the creek and Sam jumped into a hole to hide from enemy fire. An army of hornets, very angry hornets, immediately greeted him. The boys were screaming and my mother and two other neighbor moms raced out of their houses and ran to the creek. They ripped off their skirts, shirts and whatever they could use to beat the hornets off the boy. The ambulance arrived and Sam thankfully survived. These little boys were also the ones that decided to break into the house next door that belonged to my brother's other friend Robbie on the afternoon that Robbie’s parents were attending a function. My brother decided to show off to his friends how his father had shown him how to get into the house if you locked yourselves out. (My mother had a habit of that.) However, when he and his friends successfully invaded the house he made the mistake of answering the phone when that particular neighbor called. Yeah. He got into a little bit of trouble for that. So, as I sit here and watch the boys in the yard chasing down fireflies I smile and laugh, and silently thank them for nudging me down this path of tender and precious summer memories. poor bunny...that must have made you very sad, since it did me and it wasn't even my pet. It's an awesome re-post, for sure!! I like your posts so much, it doesn't even matter that it's a repost. However, I DO want school to start! Sorry! I remember the bugs and the jars and the creeks too. Great post. You put me right there with you. Lovely writing. Can hardly get past the bunny incident . . . But I enjoyed the romp backward in time. Always fun to reminisce. I too was fortunate enough to live near a wonderful creek as a kid. I was appalled to grow up and learn that "Jenny Crick" was not a "crick", and although my father told me it was named for me, it was not. It should have been, though, after a shock like that.